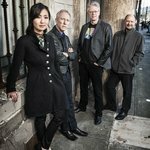 label:Nonesuch Records, Cantaloupe Music, World Circuit Ltd.
2018 marks forty-five years of Kronos Quartet's extraordinarily innovative career. 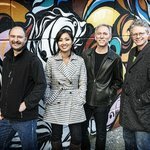 Founded by violinist David Harrington in 1973, the quartet has pursued a singular artistic vision, combining a spirit of fearless exploration with a commitment to continually reimagine the string quartet experience. They have performed thousands of concerts worldwide and commissioned over 950 works from composers around the world. Kronos has released over 60 recordings, including the Grammy and Latin Grammy-nominated "Nuevo" (2002), 2004 Grammy-winning "Alban Berg: Lyric Suite," and 2018 Songlines Music Award-winning "Trio Da Kali and Kronos Quartet: Ladilikan" (Fusion category). 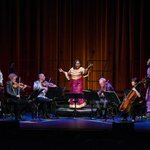 Integral to Kronos’ work is a series of long-running collaborations with many of the world’s foremost composers, including Americans Terry Riley, Philip Glass, and Steve Reich; Azerbaijan’s Franghiz Ali-Zadeh; Russia’s Vladimir Martynov; Poland’s Henryk Górecki; and Serbian-American Aleksandra Vrebalov. Additional collaborators have included Wu Man, Laurie Anderson, Tanya Tagaq, Mahsa Vahdat, Trevor Paglen, Sam Green, Van Dyke Parks, múm, Dawn Upshaw, Noam Chomsky, Tom Waits, Asha Bhosle, Taraf de Haïdouks, and Howard Zinn. 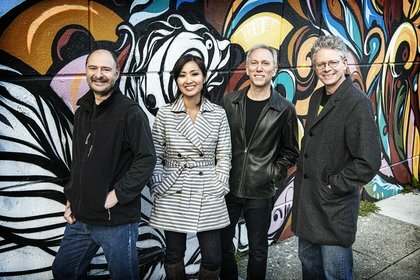 Kronos has received over 40 awards, including both the Polar Music and Avery Fisher Prize. Now, for their groundbreaking, inclusive approach to the music of this planet and their contribution to immeasurably widening the horizons of the classical string quartet repertoire, WOMEX is proud to add this year's Artist Award to their impressive list of achievements.